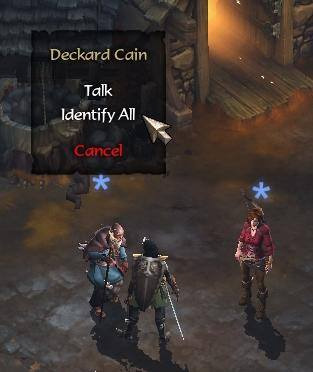 After you rescue Cain, and before he's killed by the Butterfly Witch, you used to have the option of having Cain identify your stuff. 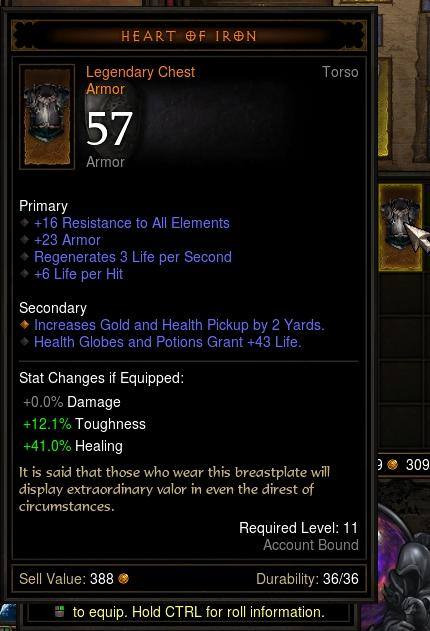 My wife started a Necro the other day, and I was watching/advising her (at her request), and she found a Legendary, so I said, "Hey want to see something cool?" And tried to find the menu choice where Cain will identify your stuff, but it's not there any more. When you click on him, the only options are the various dialogues. No choice between Talk and Identify All. 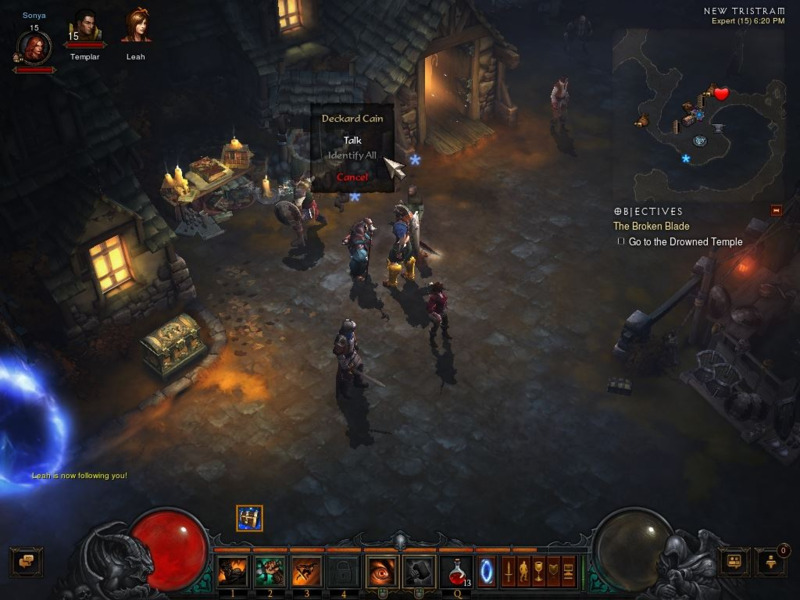 Since Blizz obviously has made it a point to include throwbacks to the older Diablo games, it doesn't just bum me out that this option is gone; it actually seems like a step backwards. Sure, maybe only a few people even realize it's there, but why take it out? That would take more effort than just leaving it in for the few who know about it. Yep, it was when I first started playing Diablo III. Someone mentioned it on (I believe) the Battle.net forums, so I checked it out, and the option was there. But I didn't have any unidentified items, so it was grayed out for me. 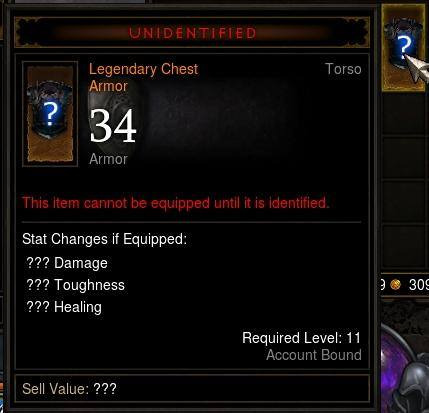 By time I found my first Legendary, Cain was gone so I couldn't try it out. But the next time I had a character who happened to find a Legendary while Cain was around, I documented the whole thing. 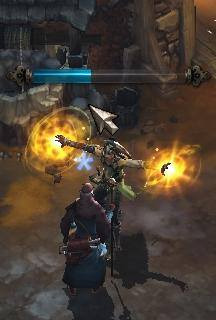 Choose the Identify All option, and your character does the same dance as if you'd right-clicked on it. Now I have to read a book to find out what I had. Bah. I crusade, I don't read. I thought that that was one of the more interesting things that they came up with. Cain is gone, but he left his book behind wherein he'd identified every possible item in Sanctuary. It was either that or pay 100 gold each time, and eff that.